Microsoft has had a tough week in its no-win Xbox One situation. It finally backed away from its stringent used game policy and did away with the console's required 24-hour check-ins. This move pleased vocal critics who were angry about not being able to play games offline. Great for those folks, only that it's now ticked off a whole new set of suddenly outspoken judges who immediately condemned the company for caving in on the benefits of its check-in-required features. 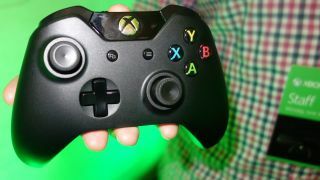 The good news for everyone is that Microsoft has engineered a solid next-generation console, one we were thoroughly impressed with when we went hands on at E3 last week. Yes, it's a bit square on the outside, but the inside has a lot of forward-thinking features that gamers will want to know about now that the controversy is starting to subside. Kinect is still required operate the Xbox One and that irritates some privacy-concerned gamers, even though Microsoft has made it a point to say that it won't be listening to your conversations. "If you don't want the Kinect sensor on while playing games or enjoying your entertainment, you can pause Kinect," explained Microsoft earlier this month. "To turn off your Xbox One, just say 'Xbox Off.' When the system is off, it's only listening for the single voice command - 'Xbox On,' and you can even turn that feature off too," it further clarified. What's left is a "rocket science-level" 1080p camera that can process an amazing 2GB of data per second. It certainly blows away the original VGA Kinect. Here's why: Besides its gaming capabilities, Kinect can sense when a person walks into the room and their skelton picks up a controller. No need to sync that controller via the Xbox Guide button anymore. That's so last generation. A second person just walked in the room? It knows to assign them as "Player 2." For us, that's pretty darn smart. One of the most exciting "why didn't anyone think of this before" features that Microsoft told us about regarded the system's ability to configure the sides of a splitscreen game based on where the players are sitting in a room. Because the Xbox One controller has an IR sensor in the top and the Kinect picks up on its whereabouts, future games can set up splitscreen matches without the hassle of switching seats. Microsoft mentioned that no games support this feature currently, but it's a part of the system and can be utilized by developers at any time. PlayStation 4 has this same splitscreen switching functionality built-in, but its add-on camera leads us to the next point. What developers would want to spend time on a fraction of the user base? Here's another added benefit of the Kinect: it comes with the system out of the box, whereas the PlayStation 4 camera does not. That means 100 percent of Xbox One owners will also own a Kinect 2.0. What percentage of PS4 owners are going to purchase the $60 (about UK£39, AU$65) camera add-on? History has shown that PS3's Move controllers (generously counting people who bought more than one Move wand more than once) amounted to about 4.7 percent of overall PS3 owners as of late last year. Are developers really going to cater to a similar 4.7 percent of the PS4 user base? Sony is likely to encourage it, so maybe there'll be some features thrown its way by first-party developers, but that may just be a waste of valuable development time, all things considered. Former Sega of America President Bernie Stolar is said to have argued with his own company in favor of the Dreamcast launching with the 56K modem, becoming the first home console to include one in 1999.